Summer is here, and Reflections – the weekly interview program hosted by Tennessee Radio Hall of Fame member Keith Bilbrey promises to deliver a lineup as hot as the weather outside, with a member of the Country Music Hall of Fame, as well as two acts that are celebrating unique milestones in 2016. On July 4, the show will celebrate Independence Day with a visit from Roy Clark. A native of Virginia, Clark became a local TV and radio favorite in the late 1950s, and took his talents to national television in the 1960s. His quick wit and musical talent served him well as a guest host on The Tonight Show as well as the top-rated CBS classic The Beverly Hillbillies. Clark became a household name in 1969 by beginning a quarter-century run as co-host of Hee Haw. As a recording artist, his hits include “Yesterday, When I Was Young” and “Come Live With Me.” Clark was inducted into the Country Music Hall of Fame in 2009. One of America’s most-loved duos, The Bellamy Brothers, will appear on the July 11 edition. 2016 marks four decades since the Florida-born siblings stepped into the spotlight with their hit “Let Your Love Flow.” A Top-40 Country hit, the song topped Pop charts around the world, including the United States. In 1979, they successfully segued into Country Music full-time with the release of “If I Said You Had A Beautiful Body (Would You Hold It Against Me),” which catapulted them to superstardom. The 1980s and 1990s included such hit follow-ups as “Redneck Girl,” “Old Hippie,” and “Santa Fe.” Their 1987 chart-topper, “Too Much Is Not Enough.” – recorded with The Forester Sisters is notable for being the only sextet to hit No. 1 on the Billboard Country charts. Comprised of brothers Howard and David, the duo are touring the world in celebration of their first hit. Mark Wills talks with Keith on the July 18 edition. Wills, a Georgia native, first made his presence known in 1996 with the nostalgic “Jacob’s Ladder,” which helped him win an ACM Top New Male Vocalist award. The singer became one of the most successful balladeers of his time, with chart-toppers such as “Wish You Were Here” and “I Do (Cherish You).” His 2002 hit, “Nineteen Something,” holds the distinction of having the most airplay in one week of any other Country single of the monitored era. Wills’ newest release is Looking For America. 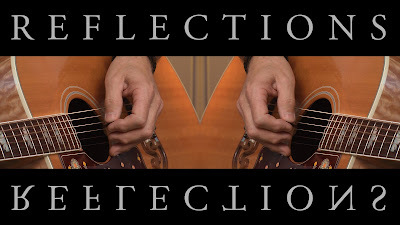 Reflections is filmed at The Hot Seat Studios, located in Hermitage, Tennessee, and is produced by Jeff Moseley and Brian Covert of CJM Productions. Each week, Keith Bilbrey leads one-on-one insightful interviews with country music's legendary artists. Viewers can also tune in to Sky Angel Two, The Family Channel or AMG TV to watch. Check your local listings for channels and airtimes. Reflections airs on The Heartland Network Thursdays 8/7c (6 p.m. CST on WSMV 4.2 in Nashville) and Saturdays 4/3c. Click here to find your local channel.